, : Target creature gains double strike until end of turn. clayperce on Thoughts on UG Control? Thanks much; I'll give your Kefnet deck a hard look, for sure. Yeah, those are all good examples. > weird mashup of ramp into semi-big threats with suboptimal control elements. That's actually a great definition of what Ponza is all about! I usually describe the deck more like "aggressive ramp into bulk rares that you would never expect could be good in Modern, with an overlay of annoying mana-denial Control", but yours will certainly do. The thing is, it works surprisingly well in many metas. Opponent transforms a Thing in the Ice? Repudiate the triggered ability and our team stays on the field. Opponent wants to make us sac' a creature with Lili, put a Terminus on top with Jace, or ultimate whatever random Planeswalker they have? Repudiate the activated ability and we've totally turned the game around. Opponent tries to Modular a ton of +1/+1 counters onto their attacking Inkmoth Nexus, wipe our board with an Oblivion Stone, Equip a Batterskull, Crew a Smuggler's Copter, etc, etc, etc? Repudiate gives us answers (or at least options) we never had in 'normal' Ponza. UR Phoenix: Often game-changing vs. trigger of Awoken Horror . Often good vs. triggers of Snapcaster Mage and Arclight Phoenix . Dredge: Often game-changing vs. trigger of Bloodghast and Narcomoeba (if opp has multiple Prized Amalgam in the graveyard) or Prized Amalgam (if there's only one). Often good vs. triggers of Creeping Chill and Stinkweed Imp , and activated ability of Shriekhorn . Tron: Often game-changing vs. -X of Ugin, the Spirit Dragon or activated ability of Oblivion Stone . Often good vs. triggers of Wurmcoil Engine , Ulamog, the Ceaseless Hunger , activated ability of Walking Ballista , Expedition Map , and Relic of Progenitus , and -3 of Karn Liberated . Humans: Often game-changing vs. trigger of Kitesail Freebooter , Meddling Mage , Phantasmal Image , and Reflector Mage , and activated ability of Aether Vial . Often good vs. triggers of Champion of the Parish , Noble Hierarch , and Thalia's Lieutenant (plus Anafenza, the Foremost , Deputy of Detention , Kambal, Consul of Allocation , and Sin Collector , if they have them). UW Control: Often game-changing vs. actived ability of Celestial Colonnade . Often good vs. +1 (since they're tapped out the next turn) and -3 of Teferi, Hero of Dominaria , and 0 of Jace, the Mind Sculptor (if we think they have a Terminus ). Burn: Often good vs. trigger of Monastery Swiftspear and Eidolon of the Great Revel , and activated ability of Grim Lavamancer . Hardened Affinity: Often game-changing vs. Modular of Arcbound Ravager and trigger of Hangarback Walker , and activated ability of Inkmoth Nexus . Often good vs. triggered ability of Arcbound Worker , and activated ability of Walking Ballista , Steel Overseer , Welding Jar , Animation Module , Throne of Geth , and Blinkmoth Nexus . Grixis Shadow: Meh. Perhaps good vs. trigger of Snapcaster Mage or activated ability of Mishra's Bauble . Amulet Titan: Often game-changing vs. trigger of Primeval Titan . Often good vs. trigger of Amulet of Vigor , Trinket Mage and Bojuka Bog , and activated ability of Walking Ballista , Engineered Explosives , Gemstone Mine , Ghost Quarter , Slayers' Stronghold , and Sunhome, Fortress of the Legion . RG Rock: Often game-changing vs. +1 and -2 of Liliana of the Veil , +1 and -2 of Liliana, the Last Hope . Often good vs. triggered and activated abilities of Kalitas, Traitor of Ghet , triggered abilites of Tireless Tracker , and activated ability of Scavenging Ooze , Hissing Quagmire , and Treetop Village . Whir Prison: Meh. Perhaps good vs. trigger of Bottled Cloister and activated ability of Engineered Explosives , Mishra's Bauble , Tormod's Crypt , Welding Jar , and Inventors' Fair . Old-school Affinity: Often game-changing vs. Modular of Arcbound Ravager , Equip of Cranial Plating , and activated ability of Inkmoth Nexus . Often good vs. trigger of Signal Pest and activated ability of Welding Jar and Blinkmoth Nexus . Ad Nauseum: Meh. Perhaps good vs. activated ability of Simian Spirit Guide . Spirits: Often game-changing vs. trigger of Phantasmal Image , Reflector Mage , and Spell Queller , and activated ability of Mausoleum Wanderer and Aether Vial . Often good vs. trigger of Mausoleum Wanderer , Noble Hierarch , Rattlechains , Geist of Saint Traft , and Deputy of Detention , and activated ability of Selfless Spirit . Re:Leverd01 Thanks, I have been considering Archetype of Courage , but its effect is almost redundant with my commander (the only most-likely card on the board when Archetype is played) and First Strike doesn't go very far when you consider there are only going to be a couple of creatures out at a time, as many of them are easy to pick off. 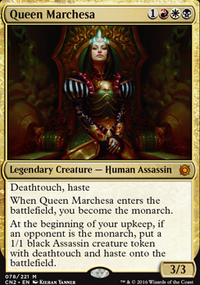 It doesn't go as wide as you think it should, but it could if you draw well and your opponents leave you unchecked. The strategy is to cheat out Sewer Nemesis or Nighthowler for the kill (especially if you can trigger Sunhome, Fortress of the Legion in the same attack), which should be an easy kill if Impact Tremors , Gray Merchant of Asphodel , and Kambal, Consul of Allocation have been chipping away at your opponent(s), not to mention any damage going through from Alesha and various other attackers you've brought back along the way. Cathars' Crusade and Flame-Kin Zealot help you to go wide, but First Strike doesn't help go for the throat the same way that even Menace or Deathtouch do. He's a great thought... but what ought go out to replace him? I think more ramp would be good. The important thing about Ghalta is getting him down early, even if that means flipping one or two good dinosaurs per turn, rather than two or three mediocre ones. You'd be much happier keeping an opening hand with three pieces of ramp and a dino than the inverse. I would look at bells and whistles like Kindred Boon and Onward / Victory the same way. in the case of O/V, having it stuck in your hand, rather than a ramp spell or another draw spell could delay getting Ghalta on the field by one, or even two turns, losing you that damage. True Conviction is great. If you feel that you need another double strike effect, Duelist's Heritage is strictly better, since it's cheaper and you can politick your opponents into attacking each other by pumping their creatures. I'm also questioning Growing Rites of Itlimoc Flip in this deck. I love the card, but I run it in my Druid deck, which expects to flip it within a turn of it hitting the battlefield. A more reliable ramp piece like Hour of Promise might consistently perform better, and it will allow you to lean into Sunhome, Fortress of the Legion and Ancient Tomb more. triproberts12 Hi man, really appreciate the help as this is the first comment I've had on tapped out after using it for a couple of days! The point you make about Nature's Lore being in over Selesnya Signet I think is probably correct so when I acquire one I'll swap that in. 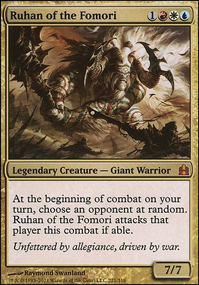 I'm already running Farseek so I guess the decision would be weather to cut Bellowing Aegisaur or Onward / Victory for Sakura-Tribe Elder . Do you not think I have enough ramp (this may be the case)? Bellowing Aegisaur combos well with Forerunner of the Empire + Polyraptor and I think that Onward / Victory seemed very good at getting almost two double strike triggers for Gishath, Sun's Avatar . Perhaps I don't need this though as I have may enough effects like True Conviction , Sunhome, Fortress of the Legion , Boros Charm (if needed) and Goring Ceratops . Perhaps Blood Mist is better than Onward / Victory anyway. Njirk on Vial Smasher cards? One more thing, I think Sunhome, Fortress of the Legion is a great way to make Ishaj a real threat without investing too much resources on a voltron strategy. wall of text warning, sorry i got a little carried away, i love Zacama, and been playing a lot of it so i couldn't resist trying to help another player out. Doubling Cube it's not very good in a zacama deck as it's not really recur-able like the other mana doublers. 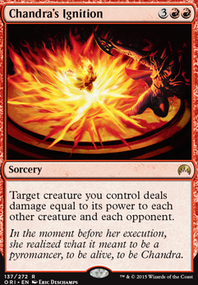 Lightning Greaves switch it out for Swiftfoot Boots the shroud hurts you more often than it helps, specially when you're trying to target Zacama or something to save them with temur not on your turn. Sunforger it's essentially 8 mana to tutor for an instant, that's mana better spend just drawing cards, or better tutors. The Immortal Sun if you're trying to stop a lot of planeswalker in your meta, keep it, otherwise it's too expensive of a cast. after you cut those artifacts add in Stony Silence and/or Null Rod which adds more stuff for your enlightned tutor to fetch. this will not really stop you other than your equipments, sol ring, and mana vault (which I MIGHT cut, up to you though on that one) which is waaay less important than everyone else's rocks that they're probably relying on more than you. Aura Shards you're not running enough creatures to really benefit you, and Zacama IS aura shards. Aggravated Assault + Bear Umbra is cute at best, but outside of that just a straight double strike is just better than wasting your time with this combo, other than Etali you don't really benefit from additional combat steps. Dictate of Karametra, Heartbeat of Spring, Zhur-Taa Ancient don't help other players, unless your deck is fast enough to win on the turn these come out, you're helping 3 other players that's NOT you. that's a strict 3 to 1 disadvantage no matter how much more lands you have. 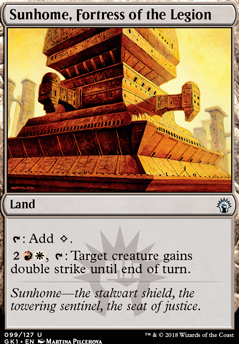 if you really want another doubler, Zendikar Resurgent. 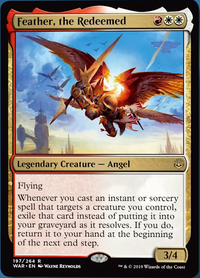 Sunbird's Invocation is another cute card, and in a zacama deck i feel like it's just more a "win-more" card than actually helping you advance your board state, specially for it's mana cost. please let me know how successful you've been with Food Chain + Myth Unbound combo works out for you, i thought about it, but didn't pull the trigger for it yet. Also how is Shapers' Sanctuary working out for you? i like 1 drops, and ones that can draw you cards is even better. On average how many cards do you think you draw from that card per play? Banefire is that to remove planeswalkers? if so that's actually pretty smart, i didn't think of using it that way, but it's good to have. Plea for Guidance this is to get your aggravated assault/bear umbra or food chain/myth unbound combo i assume, any other combos i'm missing? it's pretty expensive to play, 6 mana to search, then another 6-14 mana to get those other combos going. 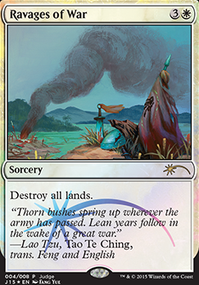 If you decide to keep it, i recommend adding Abundance to combo with Sylvan Library pick up lands or non lands to your liking and not pay life. Rolling Thunder switch it out for Aurelia's Fury it's just a straight upgrade, it's at instant speed, and so much more utility, this card can win you games. Rampant Growth, Hunting Wilds (don't ever pay the kicker), and Traverse the Outlands gets crazy as soon as Zacama drops, Kodama's Reach and Cultivate wouldn't hurt. Hour of Promise ramps AND searches for ANY land. Green Sun's Zenith and Chord of Calling are great to find your combo pieces. Uncage the Menagerie can play well too, but you'll have to actually build your deck around it a bit more to actually be effective. As far as creatures go, i recommend the mana dork squad, having a consistent turn 1 play every game will really affect your board state advantage, having 3 mana on turn 2 is a big difference, specially for all the ramp spells you want to be casting. Chameleon Colossus is a great creature for mana sink, pump it up, then you can Soul's Majesty it, or similar effect with it. Goreclaw, Terror of Qal Sisma and Spellbreaker Behemoth this is hit and miss. you only really have 7-10 creatures they actually affect, if you feel like you're running enough green, Emerald Medallion can be better value than goreclaw, and Vexing Shusher and Prowling Serpopard would affect more of your deck than spellbreaker. Whitemane Lion combo's with Panharmonicon to infinitly bounce zacama for the same mana cost as Temur, if temur ever gets exiled. also having flash, can save a creature in case of a removal or something. Garruk, Primal Hunter is pretty much another Soul's Majesty. it's worth the slot even for just a 1 time use draw card when your fatties are out. Recursion, your deck is lacking pretty much every basic form of it. Eternal Witness and Regrowth are just green staples. and personally, i would cut Praetor's Counsel for Seasons Past it's cheaper to cast, and will get back most of what you need anyways. also i would up your land count to 36-38 your deck's average CMC is too high to be greedy on lands. adding Slayers' Stronghold combos with Sunhome, Fortress of the Legion (remember Hour of Promise?) to get Zacama up to 22 commander damage to get a sneaky kill on someone without a blocker. Kessig Wolf Run is just another quality land. Hanweir Battlements and Flamekin Village along with slayers' can give creatures haste for some other sneaky plays.